“Soup to Nuts” is an annual event with a two-fold purpose: To encourage fellowship among the members of the Conference Lay Organization, while helping to raise funds for the Conference Scholarship Fund. It is a progressive dinner, with parts of the meal being held at various churches. On Saturday, May 25th, we will enjoy the hospitality of the churches in Columbia! We will enjoy soups at Wayman Chapel; then travel to St. Paul AMEC for Salads; and conclude with the Entree’, Desserts and Nuts at Bethel Chapel. At each church, there will be some form of entertainment and/or training. 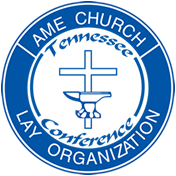 Since 1997, the Tennessee Conference Lay Organization Scholarship Committee has awarded scholarships to deserving high school seniors.The purpose of these scholarships is to promote academic excellence and to encourage our African Methodist Episcopal Church students who are pursuing post-secondary education for a more promising future. The scholarship awards are made based on scholastic records, church, school and community involvement, financial need assessment, and letters of recommendation. The 2013 scholarships will include academic, book awards, the Richard Allen Lewis Entrepreneurial Scholarship, and the Music Scholarship.